A step away from the experimental and often abrasive sounds of 1.Outside and Earthling, ‘hours…’ found David Bowie in a more contemplative mood – the comedown after the hedonistic night before. It’s a more personal piece, but I hesitate to say it’s autobiographical. In a way, it self-evidently isn’t. I also hate to say it’s a ‘character’, so I have to be careful here. It is fiction. And the progenitor of this piece is obviously a man who is fairly disillusioned. He’s not a happy man. Whereas I am an incredibly happy man! So what I was trying to do, more than anything else, was capture some of the angst and feelings of… guys of my age. I’d say, broadly, it’s songs for my generation. People who’ve lived through the late ’60s, ’70s, and part of the ’80s… although the ’80s don’t really come into this album. It’s a long reach back, generally. I was trying to capture elements of how, often, one feels at this age. So it’s personal, but not some hybrid fantasy. There’s not much concept behind it. It’s really a bunch of songs, but I guess the one through-line is that they deal with a man looking back over his life. In 1998 Bowie recorded ‘A Foggy Day In London Town’ for the charity album Red Hot + Rhapsody, and in August reunited with Tony Visconti to record the song ‘Safe’. This was the forerunner of their full-length collaborations on Heathen, Reality and beyond. The phone call was a nervous one for both of us. David was trying to do a lot of catching up in a short time. ‘I’m so happy to hear your voice after fourteen years David.’ My eyes welled up. I didn’t realize how much I missed him until that moment. I’m not sure what the silence was really all about except that we never spoke after I told him I wasn’t able to mix the sound for his Serious Moonlight Tour. It was all water under the bridge anyway and we made a date for coffee. Bowie also wrote a number of songs with guitarist Reeves Gabrels in Bermuda. The pair recorded a series of demos which set aside experimentation in favour of more conventional performances on guitar and keyboards. 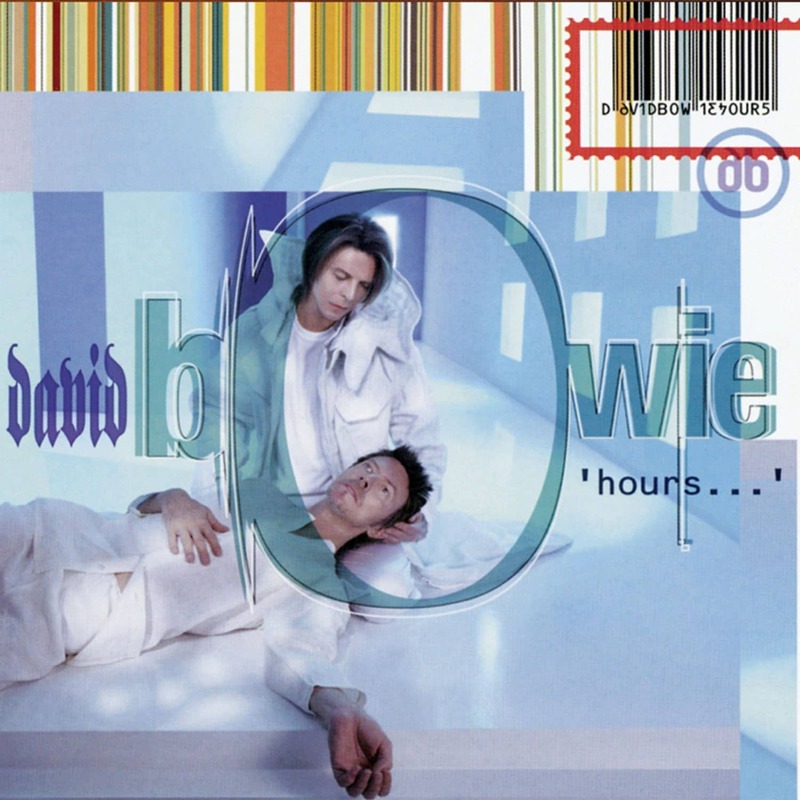 This work paved the way for ‘hours…’, David Bowie’s final album of the 20th century. Three songs on the album were originally intended for Gabrels’ 1999 solo album Ulysses (della notte), while others were written recorded for the computer game Omikron: The Nomad Soul. Because the album was taking a decidedly more introspective turn, it meant that I needed to approach the guitar playing in a different way in order to wrap around the vocals and support the mood of the song in the solos. As co-writer and co-producer I had to be extra careful that the guitar player in me was responding to the lyric content of the songs. The music for ‘We All Go Through’, ‘Survive’ and ‘The Pretty Things Are Going To Hell’ came from songs that I had started for my solo record. On the other hand, ‘Thursday’s Child’ and ‘The Dreamers’ were from keyboard/vocal ideas that David had had.